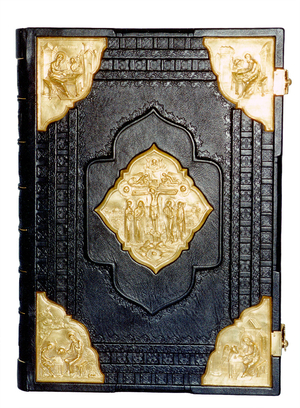 Orthodox service Gospel book in jewelry cover no.33 - Istok Church Supplies Corp.
Service Gospel book in custom-made jewelry cover. 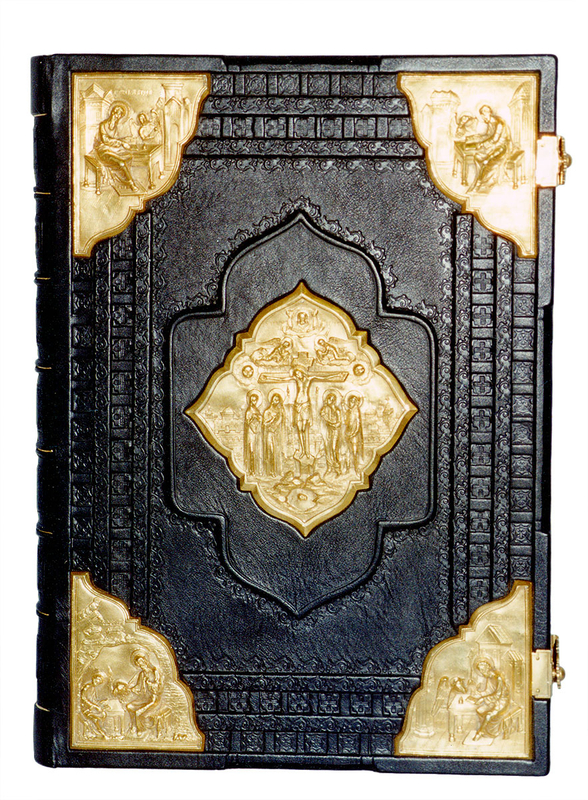 Natural high quality binding leather, gold-plating. Size: the cover is made for the text-block provided.